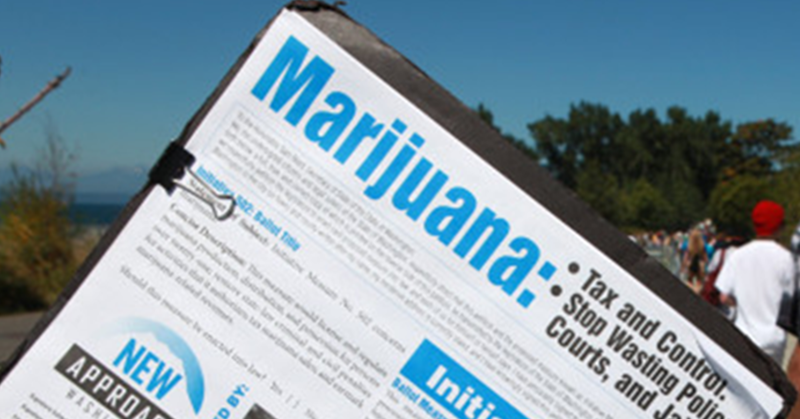 Washington and Colorado voters made history in 2012 by taking a new approach to marijuana policy. Passed by a wide margin statewide and in a majority of Washington counties, Initiative 502 legalized, regulated, and taxed the production and sale of marijuana for adults. It has now been one year since I-502 retail stores opened. Although it is too early to tell whether the law is accomplishing all of its goals, we already have some important results. First and foremost, we know that law enforcement resources are no longer being wasted on the arrest and prosecution of adults for the possession and use of marijuana. We are also taking away profits from the black market and investing badly needed tax revenue into public health and prevention programs. Further, I-502 has begun to reverse some of the damage done by the failed war on drugs. 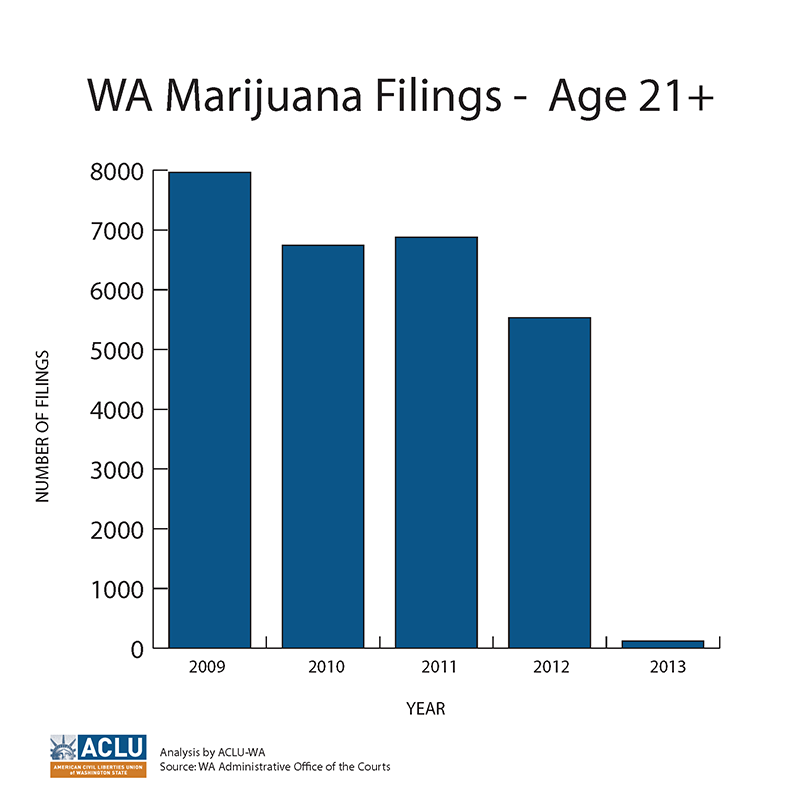 Prior to I-502’s passage, thousands of adults were being arrested for low-level marijuana offenses each year. The new law has helped to reduce the number of people being fed into the criminal justice system. By treating marijuana as a public health issue instead of a crime, I-502 is providing a more just and effective approach to drug policy. One troubling issue, though, is the continuing racial disparity in enforcement. 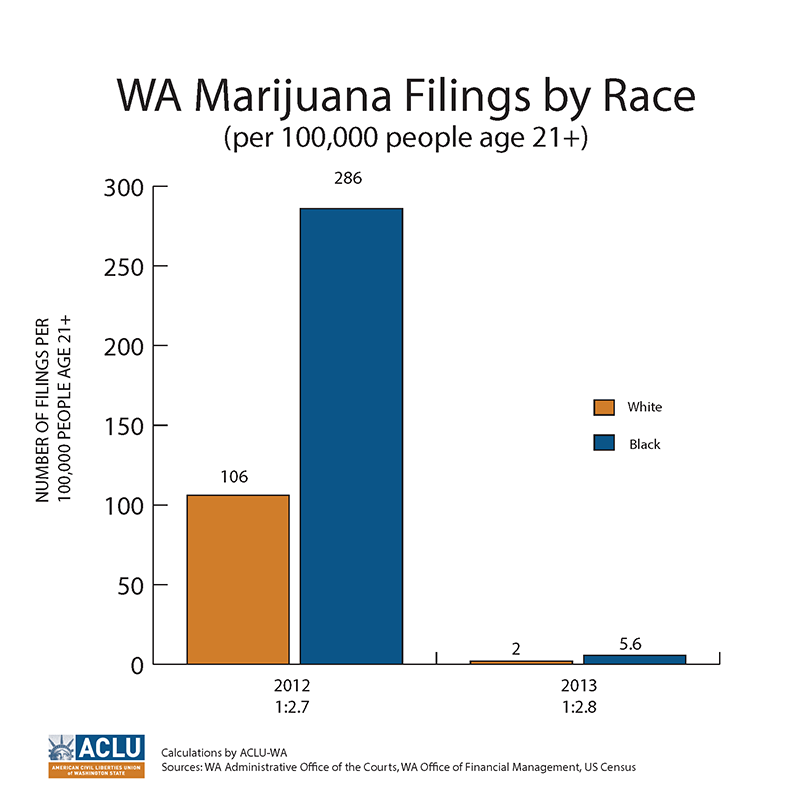 As was true before I-502, a disproportionate number of arrestees have been people of color, particularly African Americans – even though white people use and sell marijuana at equal rates. Another important feature of I-502 is its investment of tax revenue in substance abuse prevention and treatment programming, drug education for youth and adults, community health care services, academic research, and evaluation. All of these areas are grossly underfunded at present. When they passed I-502, Washington voters made clear that they wanted a well-regulated and public health-oriented approach to marijuana policy rather than just legalization without more. Sadly, the Washington legislature has already shown a willingness to divert these funds into unrelated programs to fill budget holes. This is a shortsighted strategy that will come at the expense of Washington’s health. I-502 was designed to learn from the success and failures of alcohol and tobacco policies; a key lesson is to invest in evidence-based prevention and drug education programs. Washington should not reallocate I-502’s public health dollars. Finally, Washington can take pride in being a national and international leader for taking a new and smarter approach to drug policy. Many people predicted that I-502 would never get implemented in 2012 due to federal and international prohibition. But this has not been the case. In fact, legalization in Washington and Colorado has helped pave the way for reform elsewhere. In 2014 Alaska, Oregon, and Washington D.C. legalized marijuana, and several other states are expected to follow suit in 2016. Uruguay also became the first country to legalize and regulate marijuana at the national level. Moreover, ACLU-WA staff has been invited to speak about I-502 at conferences around the globe to help educate reform advocates about our law. Recently the ACLU-WA co-hosted a summit that brought together high-level government officials and staff and leading independent researchers who are engaged in the consideration, implementation, monitoring, and evaluation of legal marijuana markets. With experience, there will be adjustments in our state’s law. But clearly, the sky has not fallen since I-502’s first stores opened. Indeed, the change in marijuana policy has been dramatic. Washington has come a long way in a short time, and we hope that marijuana reform will spark change throughout criminal justice system.